Hospitality is the most traditional custom among the Kyrgyz, like among all nations. From ancient times, everyone who passed through the Kyrgyz village did not leave it without sharing food and shelter with the owners of the house. 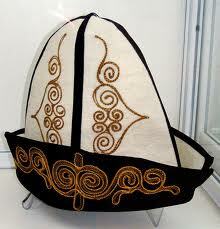 As the Kyrgyz for many years led a nomadic way of life, they invented the original kind of bread - "komoch-nan". Only two pans are required for cooking bread. Today this kind of bread is worth attention for its easy cooking and excellent taste. According to old customs, every marriageable girl should have the dowry, consisting different types of quilts, pillows, carpets and etc. The Kyrgyz mistresses were always famous for making such kinds of bedclothes. Women of older generation passed on their skills to youth; the skills are: wool processing, dyeing of wool for further usage in making colorful images of arts and crafts. Different handicrafts, embroideries and others served not only for the decoration of clothes, household objects, carpets, but also dwellings of people. Nomadic lifestyle of the Kyrgyz people limited the opportunities for development of art, but many items of national life are marked by the artistic taste and skills. They are jewelry, harnesses, clothing, household items, utensils, exterior and interior decoration of houses. Kyrgyz masterpieces of applied art never lost their national character and imbibed best artistic traditions passed on from one generation to another. 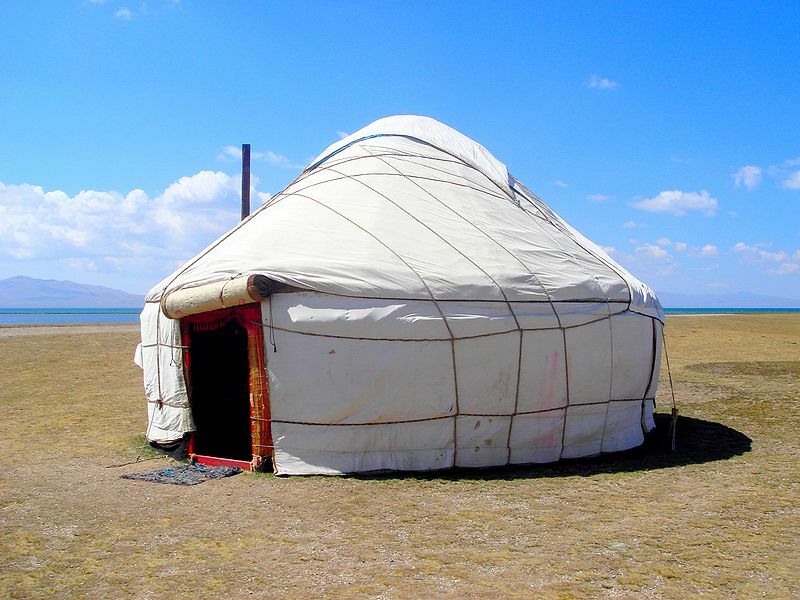 Yurt – traditional dwelling of the Kyrgyz nomads. Yurt itself is the masterpiece of applied art. It is not possible to find two identically decorated jurts. Although the ability to maintain certain standards of secular and folk traditions are always traced in their decoration. 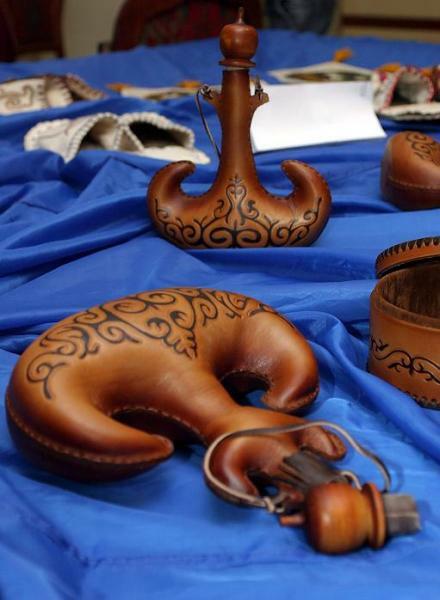 Different vessels, cases made of leather are the exotic items of the nomadic way of life. All these subjects were decorated with braids, embroidered with metallic ribbons and colored leather. Decorative applied art of the Kyrgyz people created by centuries, is distinctive, various and has the most important quality - combination of practical, utilitarian value, and the rich decoration - whether it is a yurt or harness. There is fine, relief and contour carving, painting on the trunks, boxes, stands and cases, chess, where the figures are made according to the motives of the epos "Manas", komuz - the national musical instrument. The ancient traditions of the metal decorations were preserved by people jewelers - zergerusta. Women jewelers of high artistic features made by these masters do not lie too long on the shelves. Bracelets, rings, earrings, head decorations, made by craftsmen, are able to satisfy the most exacting tastes of modern fashionable women. All this is possible to find almost in every jewelry store of the country.